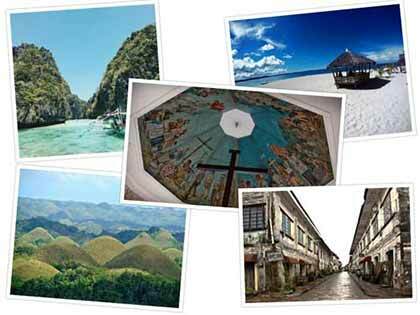 Make an itinerary for your Philippine vacation. Get the chance to meet lovely Filipino women in our singles’ tours! “It was the worst of times, it was the best of times.” — a line from Charles Dickens’ novel A Tale of Two Cities. This line may best describe your future trip. It can be both the best and the worst experience you will ever have. Going to a place with or without an itinerary may result to either convenience or frustration. Anything can happen in between your trip. While some may prefer to explore an unfamiliar place spontaneously, having an itinerary will keep you at ease by making your trip organized and well-managed. Creating an organized timetable or not, is a matter of personal preference. However, a detailed itinerary has many benefits that can help maximize your time spent at a foreign location. Designing a detailed itinerary entails a lot of advanced research --- but this works to your advantage. While doing research, you get to know your destinations even before you set foot on it. You get vital pieces of information about the place, its history, and the dos and don’ts for a safe trip. You also get a rundown of available options such as the best restaurants, activities, and the like. While creating a plan, you begin to anticipate the possible activities and events within the entire trip. Your personal interests define your itinerary; may it be a place you have always wanted to visit, or an activity that you want to experience firsthand. With your pre designed itinerary, you determine the most important aspects for your travel, so you can prioritize them. Not only that, you can determine the essential items you need to bring too. Time is as precious as gold, but it could also be the greatest constraint of your trip. Having a plan saves you from the hassle of figuring things out on the spot; deciding where to go next, how to move between destinations, and how long it will take to get there. By having a plan, you can have proper time management. Upon making your itinerary, there are certain factors that you have to be critical about, especially considering the Philippines is a country with thousands of islands, and exploring it can be as vast as the ocean surrounding it. A tourist can easily get lost and this is the main reason why having a timetable is highly recommended. 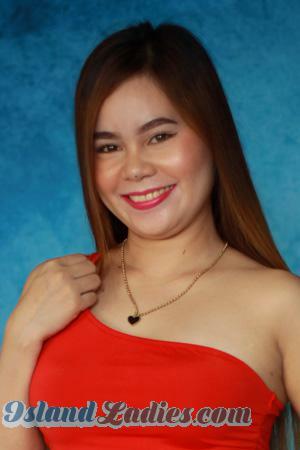 Island Ladies is the best Philippine marriage agency in the country and offers singles' tours. This renowned agency has services that include a tour package to the best travel destinations in the islands. They take care of everything --- from your arrival at the airport, hotel accommodations, major attractions itinerary, activities and places to visit, up until it’s time to head back home. 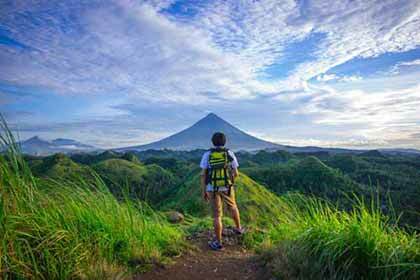 Many Filipino people really love to travel. When you are traveling in the Philippines, you will encounter many young, local backpackers. Do not miss the chance to talk to some of them. They are extremely friendly, welcoming, and typically speak fluent English. Immerse and enjoy your stay with the locals and learn the Philippine culture and traditions firsthand. The Philippines is known for having numerous festivals. It is one of the most exciting events you can attend in the country. Each island celebrates a festival on a certain date. Participate in some of the organized activities and feel the Filipino spirit. Filipino people are fond of social gatherings. All year round, festivals are celebrated in different places. Do research on some festivals available on your travel dates, visit the area, and partake in a one-of-a-kind merrymaking. As the locals say, it’s more fun in the Philippines! The Pearl of the Orient has so many precious treasures to share to the world. Being an archipelago, it’ll take more than one visit before you can entirely explore the Philippines. Abundant natural resources, historical & architectural sites, natural and man-made attractions, and many more to name --- indeed the Philippines is one of the most ideal escapades. It’s fun to be in the Philippines, but it’s more fun to join in our romance tours! What sets Palawan apart is its megadiversity. It has kept the gift of nature --- bountiful resources, abundant wildlife, and extraordinary natural beauty. Ecology awareness is at a high level throughout the province making Puerto Princesa the cleanest city in the Philippines. It also one of the New 7 Wonders of Nature in 2012 and a UNESCO World Heritage Site in 1999. Condé Nast Traveler has listed it as the fourth most beautiful beach in the world and CNNGo's first pick of the best beach and island destination in the Philippines. You should not miss Palawan, a major reason why you should travel to the Philippines. If you happen to be a beach person, another must-visit island in the Philippines is Siargao. This tear-shaped island off the coast of Surigao del Norte is slowly becoming the country’s newest sought-after paradise. Long known as the Surfing Capital of the Philippines, Siargao has even become more popular among tourists with its classic, isolated tropical islands, unique natural reserve, deep inlet, and social gatherings organized by the locals. Find your potential Filipina bride in this haven and experience a laid-back life with her. Vigan is another UNESCO World Heritage Site, being one of the few towns left where centuries-old edifices are preserved. Vigan retains much of the patina of the Philippine colonial architecture, which fuses native and oriental designs as seen in some 150 stone houses in the town's Mestizo District, notably Mena Crisologo Street. Many of these ancestral homes are still intact and some have been turned into touristic inns, museums, and souvenir shops. Witness the few breathing reminders of the past by visiting some of the historical and heritage sites in the Philippines. Vigan City is a commendable one to visit. With its temperate weather, pristine beaches, crystalline waters, and luxurious resorts with all the amenities of modern living, Cebu is the traveler's fantasy of a tropical island come true. The island-province of Cebu is the cradle of Filipino faith where the Portuguese navigator Ferdinand Magellan erected the Cross of Christianity in the name of Spain in 1521. Cebu has since flourished into a favorite tourist destination, with many leisure facilities taking full advantage of its sea-valley-and-mountain location. Beyond the beauty of its 166 islands and islets, Cebu is the land of the Queen of All Philippine Festivals called Sinulog, an annual cultural and religious festival held on the third Sunday of January, celebrating the feast of the child Jesus, Santo Niño. In the east of Cebu, find a tropical haven called Bohol. This picturesque province flaunts a national geologic monument of the Philippines, the prominent Chocolate Hills. It is a series of 1, 268 perfectly symmetrical, haycock-shaped hills that rise some 30 meters above the ground. They are covered in green grass that turns brown (like Chocolate) during the dry season, hence the name. It is also home of equally exotic flora and fauna; to name, the world's smallest monkey, the Tarsier, can be found in the province's forests. Bohol is the site of the 1565 blood compact between Rajah Sikatuna and Miguel Lopez de Legaspi and some other significant events in Philippine history. Hailing Bohol as one of the landmarks of the country. It's more fun in the Philippines! This tourism slogan has garnered popularity among tourists and locals alike and from the spots mentioned above, you’ll surely have the time of your life. Before you book your plane ticket however, remember to keep these itinerary tips in mind. 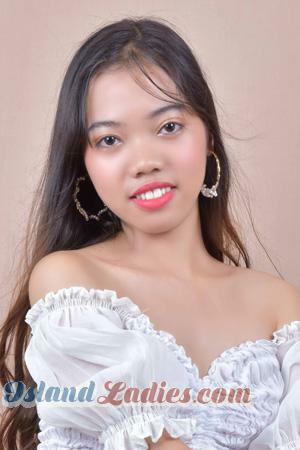 To simply matters further, consider taking advantage of our Philippine singles' tours package and make your trip memorable, with a stunning Filipino woman by your side. Registration on our site is completely free.